George "Yodi" Vosinas, 90 of Perth Amboy, passed away peacefully on Friday, April 5, 2019 at JFK Haven Hospice, Edison with his family by his side. Yodi was born and raised in Agios Nikolas, Gytheo, Greece. He later moved to Long Island, New York in 1968 and then Perth Amboy 49 years ago, where he raised his loving family. He was a Chef at the Barge Restaurant for 50 years. Yodi retired in 2014. He was a lifelong parishioner of St. Demetrios Greek Orthodox Church. 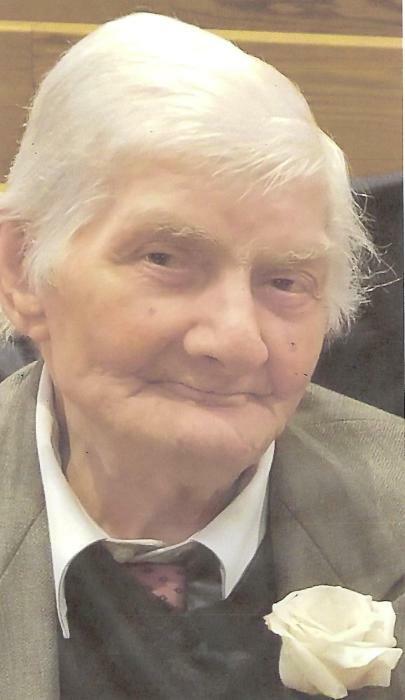 He was an avid gardner, florist and dedicated husband , father and Popou. He is preceeded in death by his loving parents Alexandros and Aphrodite Bosinas; dear brother of Elias Bosinas, and sisters Kannella Manos and Potoula Bosinas. George is survived by his devoted wife of 60 years Stella Vosinas; beloved father of Aphrodite and her husband Minas Ioannidis, Alex and his wife Callie, Vasilios "Billy" and his wife Stacey Vosinas; adored grandfather of George and his wife Adrian, Nickolas, Katina, Maki, George & Steven; cherished great ~ grandfather of Brook. We begin to leave on Wednesday, April 10, 2019 at 9:15 am from the Gustav J. Novak Funeral Home, 419 Barclay Street, Perth Amboy for Funeral Service at 10am At St. Demetrios Greek Orthodox Church. Interment will follow at Alpine Cemetery. Visitation will be held on Tuesday from 4 ~ 9pm, with a Trisgon Service at 7 pm. Donations in the memory of George can be made to the St. Demetrios Greek Orthodox Church 41 ~ 47 Wisteria Avenue, Perth Amboy, New Jersey 08861.